The NBA's regular season officially came to a close on Wednesday, but for a handful of teams it's been over for quite some time. The 14 squads that missed the playoffs can now turn 100 percent of their focus to next season, with the hope that doing so can save each of them from suffering a similar fate to the one they experienced this year. Here's a look at every lottery team's biggest need as it enters the offseason. The Nets desperately need a draft pick, since theirs is going to Boston this year. 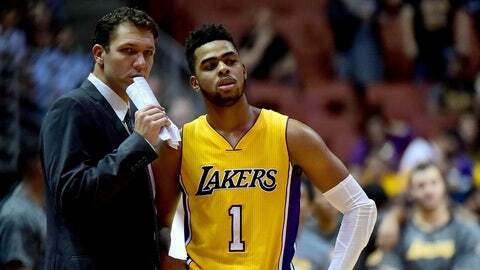 Why not trade Brook Lopez for a first-rounder if another team comes calling? 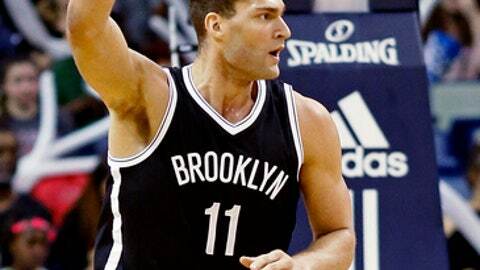 Brooklyn already won the fewest games in the league this season with Lopez as its leading scorer. Might as well begin a proper rebuild if there are one or more draft picks to be had in a potential exchange. 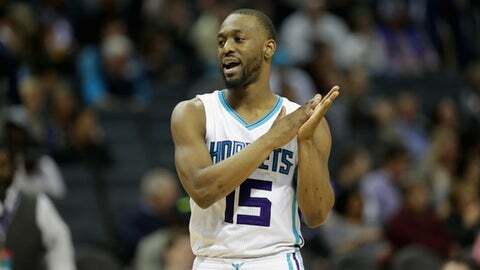 The Hornets need an identity, and they might need some new players to find one. Charlotte was middle-of-the-pack in terms of both offensive and defensive efficiency, and while Kemba Walker earned his first career All-Star appearance, his overall shooting numbers were never high enough for opposing teams to worry about him all that much. Dirk Nowitzki is expected back for a 20th NBA season, but he's no longer the focal point of the Dallas offense. The Mavericks like what they have in Harrison Barnes, Wesley Matthews, Seth Curry and Nerlens Noel. 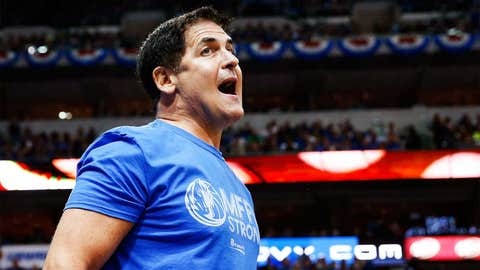 Mark Cuban will likely try to add the necessary complementary pieces to get Dirk back to the postseason one last time. 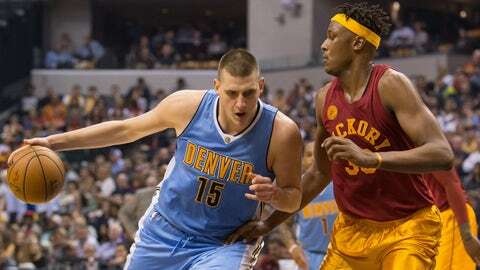 The Nuggets need to add a player or two who can help anchor the defense. Nikola Jokic's passing wizardry helped turn Denver into an elite offensive team, tied with the Clippers for fourth in efficency (behind only the Warriors, Rockets and Cavaliers) by the time the season had finished. But they finished tied with the Lakers for last in the league on the defensive end of the floor, and that's more a result of personnel than it is of Mike Malone's schemes. 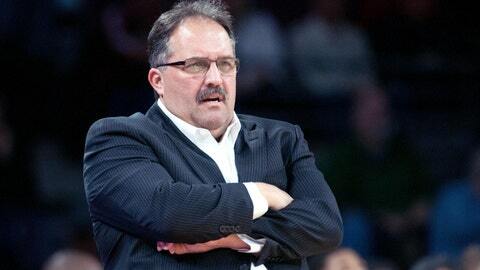 The Pistons need players with a better work ethic who are more professional -- at least in Stan Van Gundy's eyes. A disappointing year ended with Van Gundy ripping unnamed players for these things, along with an overall lack of preparation. He's the president of basketball operations in Detroit in addition to being the head coach, so it might be time to take a hard look at whether his messages may be falling on deaf ears. The Lakers need to add an All-Star in free agency, just as they've needed to for the past several seasons. 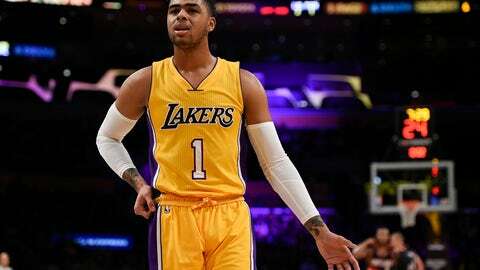 Have the young players like D'Angelo Russell and Brandon Ingram shown enough positive signs that L.A. might finally become a desirable destination for free agents? It feels like the Lakers might still be a year or two away, but we'll see what Luke Walton and Magic Johnson can do on the recruiting front this summer. The Heat feel like they need one more player to have a chance to contend in the East. 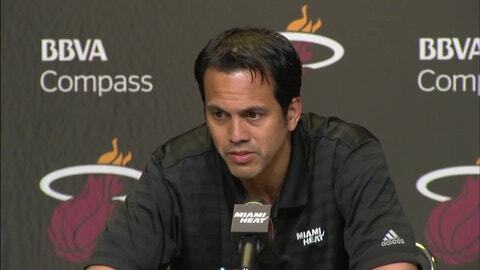 Erik Spoelstra had the team within a game of making the playoffs, which is an incredible accomplishment when you consider that Miami was 10-31 through its first 41 games. Add a piece around Goran Dragic and Hassan Whiteside, bring back Dion Waiters, and let's see what happens. 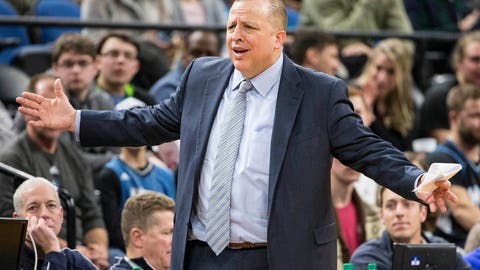 The Timberwolves need to spend some time in the film room and learn Tom Thibodeau's defensive schemes so they can better execute them next season. Minnesota may have disappointed some in terms of its win total, but finishing tied for 26th in defensive efficiancy had to drive Thibs nuts. This might also be the time to trade Ricky Rubio, after he finally showed a little bit of an ability to shoot the ball in the second half of the season. 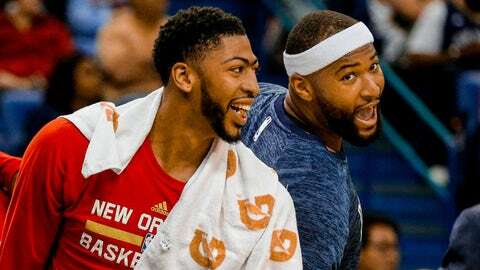 The Pelicans finally added a major piece next to Anthony Davis, and while no one was surprised that New Orleans couldn't figure out how to best utilize its All-Star big men together with so little practice time available in the middle of the regular season, the offseason should provide the perfect opportunity to add complementary pieces around Davis and DeMarcus Cousins and put better a game plan into place. The Knicks need to resolve any tension with Carmelo Anthony well before next season begins. No more trade rumors swirling around all year, and no more cryptic comments from Phil Jackson to try to force Anthony out. 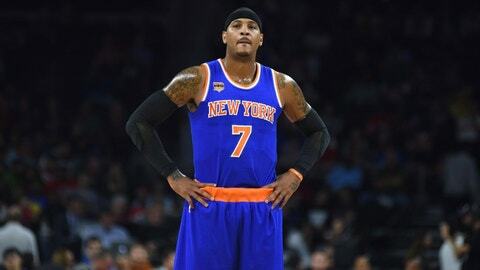 Carmelo has a no-trade clause and is not about to leave New York unless a new situation is just right. One way or another, he and Jackson must come to an understanding for the Knicks to have any chance at a successful 2018 season. 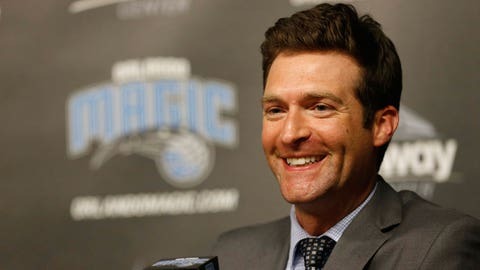 It's fair to say that the Magic need a new GM after Rob Hennigan has failed to produce in his five years on the job. The recent maneuvers to deal Victor Oladipo for Serge Ibaka, and then Ibaka for almost nothing were just the icing on the cake for an Orlando team that's missed the playoffs for five years straight. The Sixers need their young talent to be healthy enough to play as close to 82 games as possible in order to begin to turn things around. Joel Embiid was amazing this season but was limited to just 31 games. 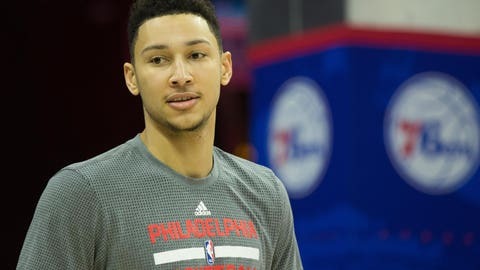 And Ben Simmons missed the entire season with a foot injury, though he's recently been cleared for 5-on-5 action. Adding a veteran free agent to the core of young talent would be simply a bonus. 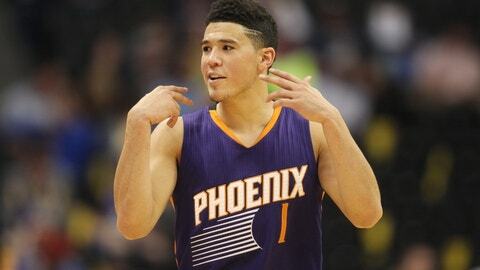 The Suns still have young guys who need to develop, but they took major strides in accomplishing that this season. Devin Booker and Marquese Chriss are legitimate pieces for the future, and veterans Eric Bledsoe and Tyson Chandler remain in the fold. One more experienced player who can contribute at both ends of the floor could push Phoenix back into the playoff race next season. 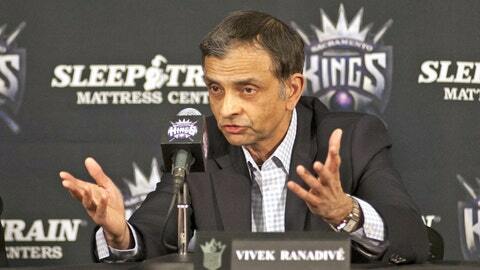 More than anything else, the Kings need a plan. They finally traded DeMarcus Cousins but did so two years too late and were forced to take pennies on the dollar in return as a result. Ownership needs to pick a course and stay with it, otherwise Sacramento will continue to be the league's worst-run franchise and will miss the playoffs for the 12th straight season next year.